When I order hot tea, a server brings me a pot of water and a tea bag so I can steep tea to my liking. It seems logical because we each enjoy tea at varying strengths. 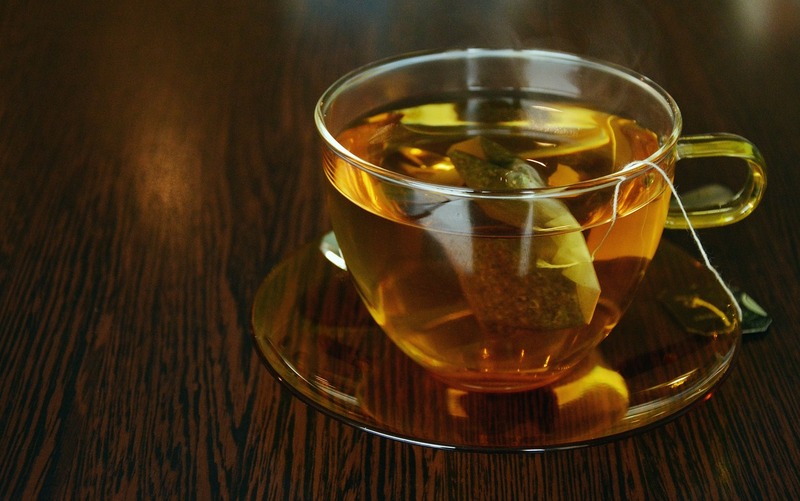 Some prefer to steep tea for three minutes, others prefer a stronger flavor and will let it sit longer. Although giving me a choice of the length of time I want to steep my tea is a kind gesture, I’m sometimes faced with the dilemma of a dripping tea bag and no place to put it. Wrapping the string around the bag is a faux pas among tea aficionados, and placing it in my saucer creates an accumulation of liquid, which drips when I lift my cup to sip. A tea rest seems to be the logical solution for my used tea bag. Tea bag rests are a necessary accoutrement. Rest. Jesus knew the importance of rest. In today’s scripture He called His disciples to go away with Him and rest for a while after they had completed their particular mission. Rest is mentioned in several other places in the Bible too. A day of rest was established in Genesis—one whole day out of seven was created for rest. God promised rest for the Israelites in the Promised Land. In our relationship with Christ we find rest and peace for our souls. In the Psalms, the word selah is found several times at the end of a section of verses. It is marked as a stopping place; a place to pause and reflect on what’s been said; a place to rest and be refreshed. We have been given so many reminders in scripture of the importance of rest, so why do we avoid it? Why do we insist on completing our “To Do Lists” to the point of exhaustion, running from one activity to the next, being over-committed and undernourished? Why do we use energy dwelling on what isn’t, rather than enjoying what is? We need to stop and rest. Tea rests are perfect solutions to the dilemma of dripping tea bags, too strong a flavor, and the inappropriate solution of wrapping the string around a wet teabag. Rest is essential to living a balanced life. Without rest we drip and are drained. We might feel squeezed like the string around a tea bag. We may be too strong in one area of our life and out of balance in others. Without rest, we can even contribute to messes because we fail to stop to evaluate and pray about our plans and decisions. Let’s look at the example of the tea bag rest and take our cues from scripture. January is National Hot Tea Month. Why not pour a cup of tea, sip, and find a quiet place to rest today? Selah!